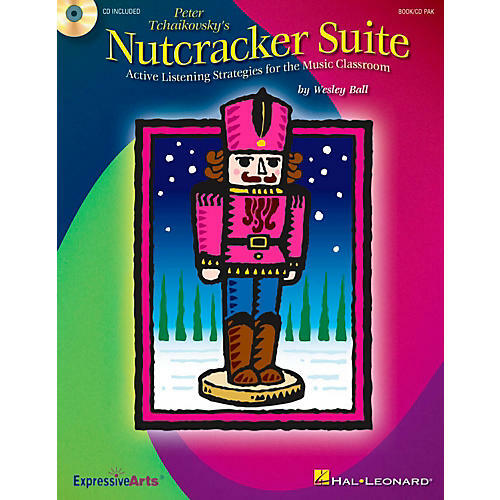 Make music listening fun and active with creative visuals and activities for Tchaikovsky's holiday standard The Nutcracker Suite. Created for the music classroom, the Activity Book/CD features a variety of reproducible listening maps and activities, helpful teaching suggestions, and a full-length version of this masterwork performed by the Slovak Symphony Orchestra. Student editions with full color listening maps provide extra visual effect as students follow the familiar music of the Suite's eight movements: Overture, Chinese Dance, Russian Dance, Dance of the Sugar Plum Fairy, Waltz of the Flowers, March, Dance of the Reed Flute, and Arabian Dance. The value-packed Classroom Kit includes the Book/CD Pak and Student 20-Pak. Enhance music appreciation in your classroom this holiday season!